While library directors wear many different hats, their roles typically don’t include physical disaster recovery. But when a 2018 flood came through the Australian city of Canberra, that suddenly changed for Roxanne Missingham and her staff. 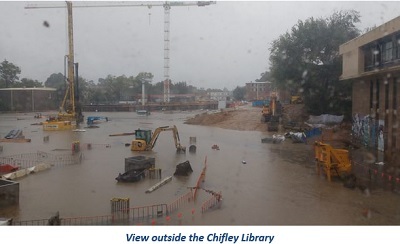 On Feb. 25, an unusual summer rainstorm breached the banks of the local creek and flooded much of the city, where Australian National University (ANU) and its Chifley library are based. With more than a meter (3.2 feet) of standing water covering the floor, the library lost more than 110,000 monographs and was closed indefinitely. So Missingham and her team undertook a massive effort to ensure ANU students and faculty didn’t lose access to the information they relied upon. Missingham, university librarian and director of scholarly information services at ANU, manages the university libraries’ five branches, its digital literacy programs and its ANU Press. Even as a student at the university several decades ago, Missingham said she’d never seen a flood like this one. Missingham initially thought the library security staff was joking when she received their phone call. Living just a short drive down the road, she hadn’t seen nearly enough rain to induce any sort of flooding threat. Unfortunately, it wasn’t a joke at all. The entire base level of the library flooded in less than 40 minutes. Water blasted through gaps in the doors and windows. It lifted furniture and appliances and pushed them through walls. Miraculously, nobody was injured. The flood took place on a Sunday when few people were at the library, and the students who were inside were quickly evacuated by security. University officials designated the entire campus a disaster area. With the library closed, Missingham and her staff brought in professionals to address the immediate damage. The biggest concern was mold from the humidity – and they had about a five-day window to rescue materials before the mold became uncontrollable. During that time, they removed the damaged books, took down the shelves and removed the walls. While they preserved what they could, they ultimately lost about 8 percent of their total collection. During the library’s four-week closure, staff and library resources were moved to other campus libraries to continue serving faculty and students with minimal interruption. In the meantime, while Chifley worked to restore services as soon as possible, they began to prioritize rebuilding their collections. They saved what they were able to – including some rare items that were the only available copies in Australia – and began to work with vendors like ProQuest to determine what could be acquired and accessed electronically. “It turned out we had a number of titles through our DDA (demand-driven acquisition) collection that were absolute gold in helping people through this time,” Missingham said. They also reached out to the community and received more than 1,000 titles via donation. Additional support came from vendors. “ProQuest was the first vendor we reached out to. We gave them the files of our serials and monograph holdings, and they did a lot of comparative analysis. They were thinking not only about what we needed to replace, but how they could help ANU build a collection that would really stand the test of time for future research and education,” she said. In particular, this gave the library a chance to implement a new acquisition workflow based on usage evidence, as well as make other purchases which Chifley had been keen to do. While the library is now safe for users and staff, Chifley is still working to fix damages and hope that they’ll be back at full service sometime in mid-2019. 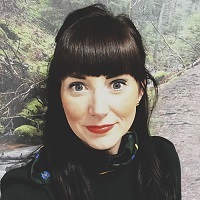 Missingham said that by going through a disaster like this – “not that we encourage disasters for collection building,” she said – had a positive side. It forced ANU to re-evaluate its strategies for collections and business continuity. They already had solid business continuity plans in place but needed to re-evaluate them to be more flexible in the event of a natural disaster. They needed to keep some disaster-recovery supplies on-hand, like plastic boxes, in case something like this happened again. And emerging from the ashes – or the mold – will hopefully be a brand-new resource. ANU has approved the detailed investigation and design of a new library and storage system that would protect monographs from water and humidity damage. “With luck, in another three-and-a-half years, we'll be opening a new library and collection store,” Missingham said.